You can search for users here. Simply enter the search term. Deletes the MediaGateway account of the currently selected, known user. Deletes every MediaGateway account of the known users. 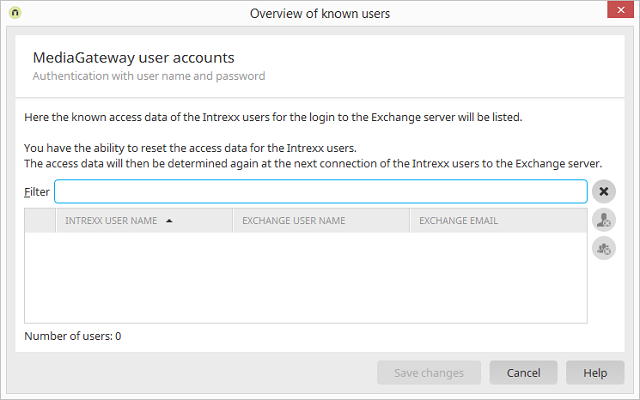 Opens a dialog where additional information about the respective user will be shown.